Don’t let falls take your employees out. With Kimtech A8 Shoe Covers, you get a superior non-skid design with four times more grip than leading alternatives. 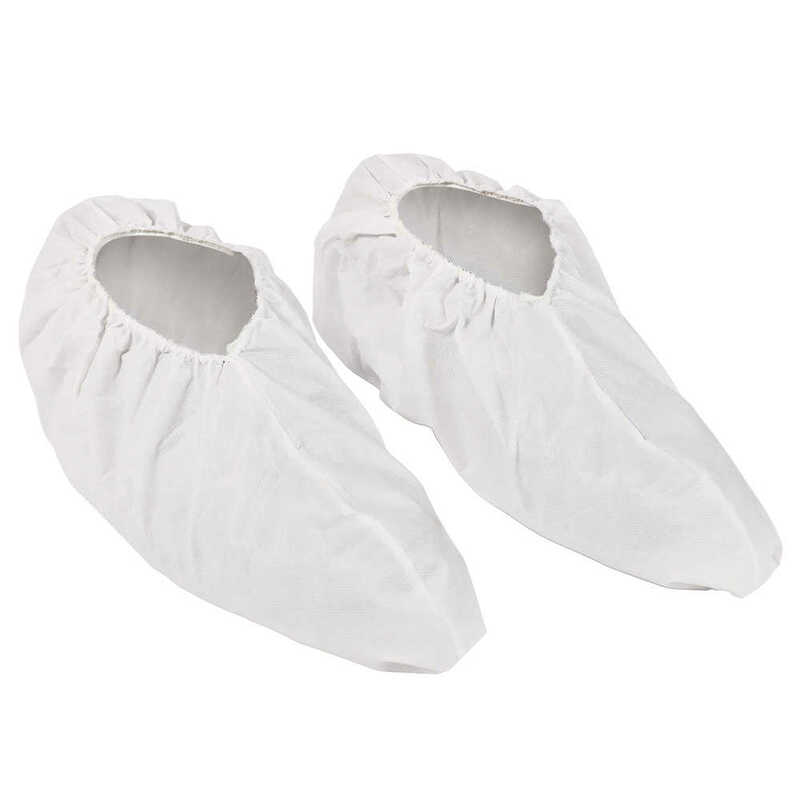 These shoe protectors have a seamless bottom for better comfort and are low-lint for contamination control in environments where you need wet splash and dry particle protection. They are made with poly-film laminated fabric and are double bagged for use in clean manufacturing and quality control environments. They feature an elastic ankle opening for a snug fit and come in three sizes so your workers have shoe covers that fit them. When you’re finished with the disposable shoe covers, they are recyclable through the RightCycle Program by Kimberly-Clark Professional, which turns them into the raw materials to create eco-friendly consumer goods. It all adds up to a great laboratory environment!